This ride will take you inland to the Myakka River State Park. It is one of Florida’s oldest and largest state parks, and is definitely worth a visit. 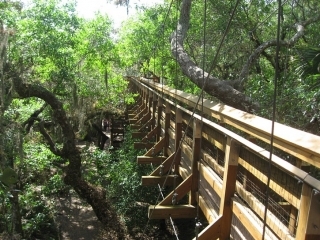 The park has seven miles of paved roads, countless hiking trails, as well as a canopy walkway which can be used to get a treetop view of the surrounding forest. 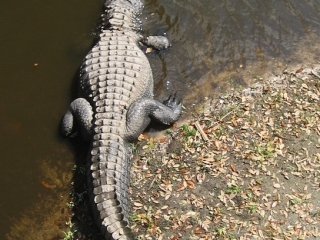 For visitors from outside of Florida, the park will allow you to see real live alligators in their natural habitat, something that is not possible in the saltwater environment along the coastline. An impressive tree with Spanish moss. 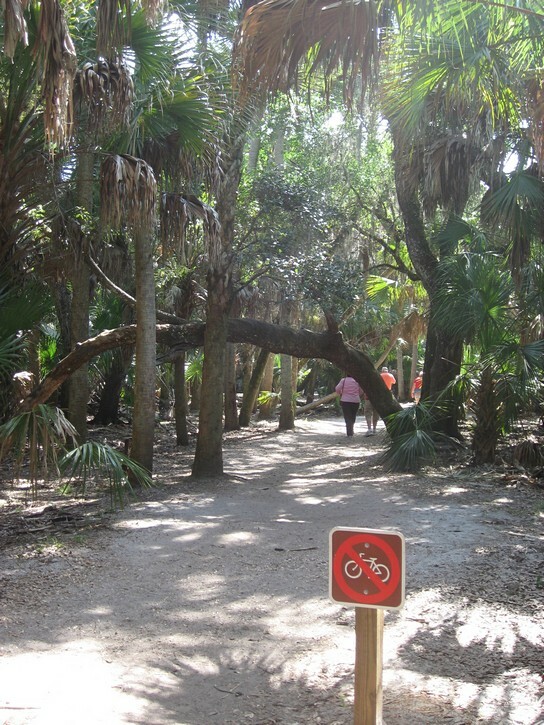 Although Myakka River State Park is an attractive destination, this ride may not be for everyone for a number of reasons. First, it covers a total distance of 50 to 55 miles (80 to 88 km), which may be getting a little long for some people. Secondly, there are several areas where you’ll have to ride on moderately busy, and extremely busy roads without a shoulder or bicycle lane of any kind. And finally, there will be a need to navigate your way through some large intersections that have very high traffic volumes. In other words, this ride may not be suitable for inexperienced cyclists or people who prefer to cycle on bike lanes or recreational trails. On the other hand, it’s not all bad news. The majority of this ride will still take place on bike lanes, paved shoulders, and quiet country roads. Moreover, the route for this ride is excruciatingly flat – there’s not even a overpass to climb. The basic route for the ride is marvelously simple. 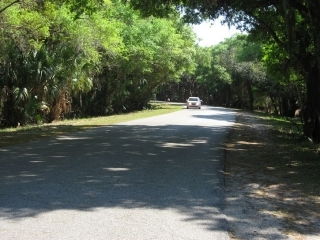 Head east on Clark Road, which later becomes State Road 72, until you come to the entrance to the Myakka River State Park. 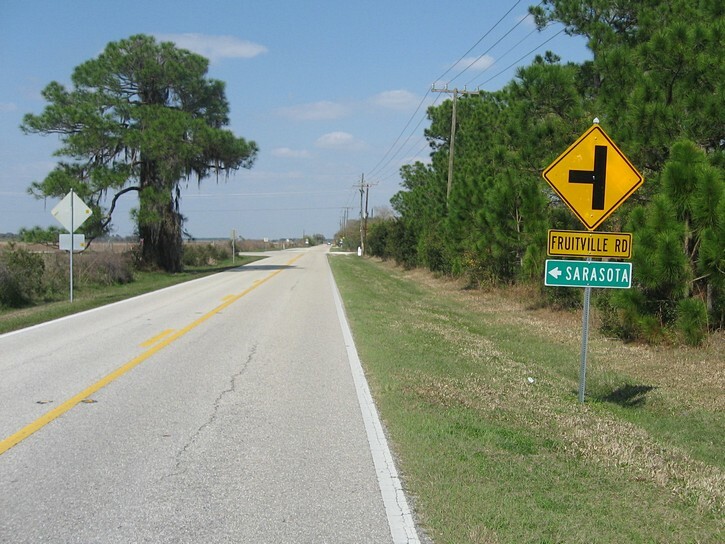 Cut through the park in a northeast direction, and then ride west on Fruitville Road all the way back to Sarasota. Unfortunately, this scenario becomes complicated by the fact that the roads between the coastline and Interstate Highway 75 (the I-75) tend to be major thoroughfares that are filled with traffic, and in varying degrees, are very unpleasant to cycle on. The challenge becomes trying to minimize the time one has to spend on these roads. It is worth emphaszing that traffic levels on these roads drop significantly on the east side of the I-75. This ride starts off in Siesta Kay, only because this is where the author stays for his winter getaways. 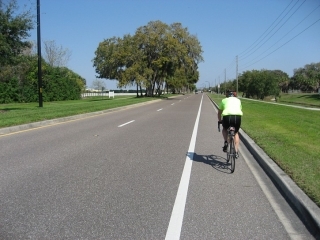 With a little planning, it would be easy to modify the ride so that it could start from a variety places in the Sarasota area. 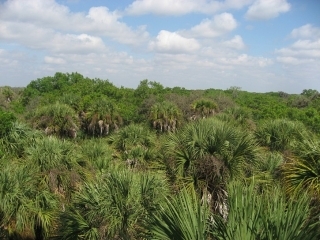 You depart Siesta Key by taking Stickney Point Road, which becomes Clark Road on the other side of the Tamiami Trail Highway. From here you could simply stay on this six lane road for another 5 miles until you reach the I-75, but this segment of Clark Road has absolutely no shoulder or bike lane, and, as already mentioned, it is very busy. The good news is that it is possible to avoid a lot of this by following the first part of the route to get to the Legacy Trail (for more details see the article about Legacy Trail on this website). When you get to McIntosh Road, instead of turning right to go to the Legacy Trail, you will turn left and head north. After cycling a short distance, turn right onto Sawyer Loop road, and in about half a mile, turn right on the Northridge Road, and in another half mile, turn left onto Honore Avenue. This routing is a lot less complicated than it sounds when looking at a map, and it should be noted that all these roads have good bicycle lanes. Honore Avenue will soon bring you to Clark Road. Here you have no choice but to turn right and cycle on this awful road for almost a mile before you are able to pass under the I-75. Making matters worst is that you’ll have to contend with all the traffic entering or exiting the ramps from the I-75. Fortunately, the level of traffic and related commotion rapidly decreases on the east side of the I-75, and Clark Road becomes much more relaxing. In this area Clark Road becomes known as State Road 72. 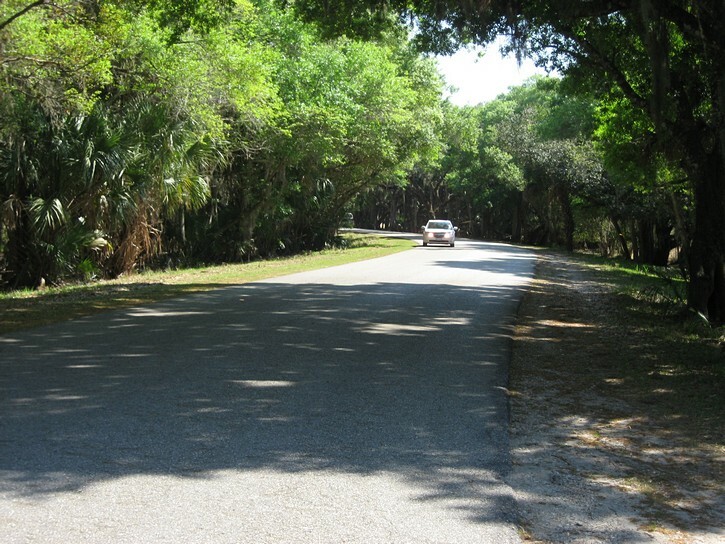 It will now be a two lane road which has a good paved shoulder that extends all the way to entrance of Myakka River State Park. Traffic on it tends to be a little busy, but not unbearably so – maybe a couple of cars per minute or so, and probably more during peak periods. 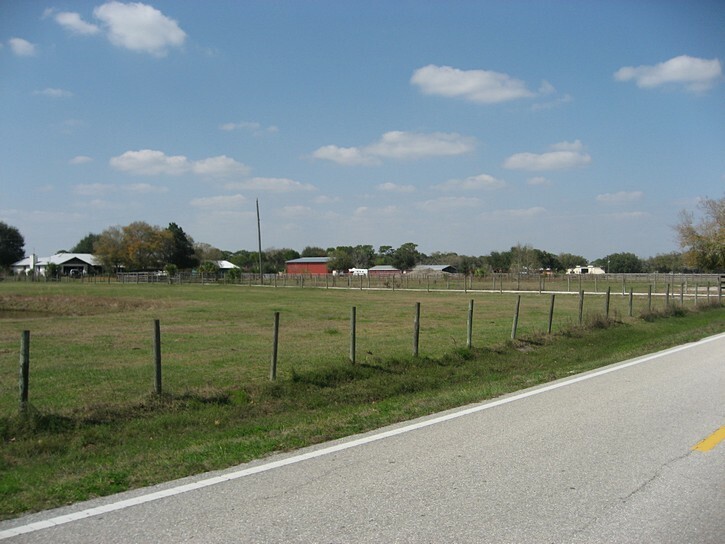 The scenery along it generally consists of open fields, wooded areas, and some farmland. 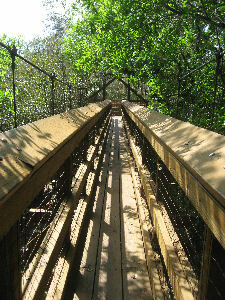 A canopy walkway at the treetops. 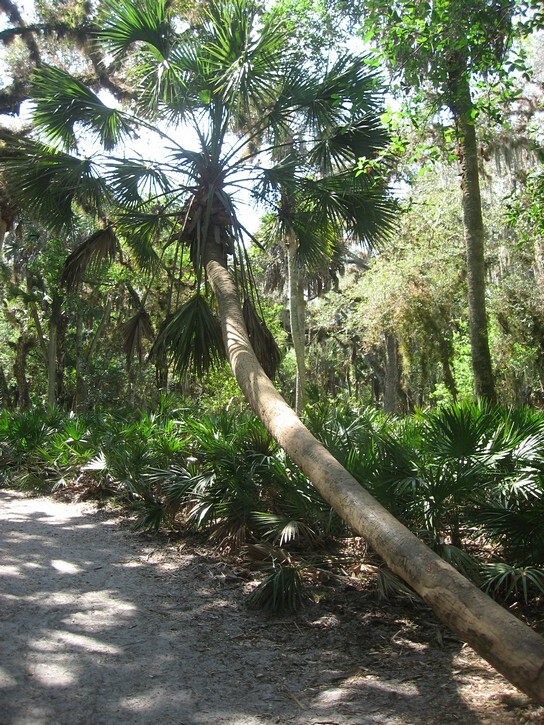 In about seven miles (11 km) you’ll reach the entrance to the Myakka River State Park. The turn off for the park is well indicated and easy to spot, and here you’ll have to stop at the gatehouse to pay the entrance fee ($2 for cyclists as of 2012). From the gatehouse you’ll probably want to head in the direction of the park’s concession center where you can stop for a rest and get something to eat. 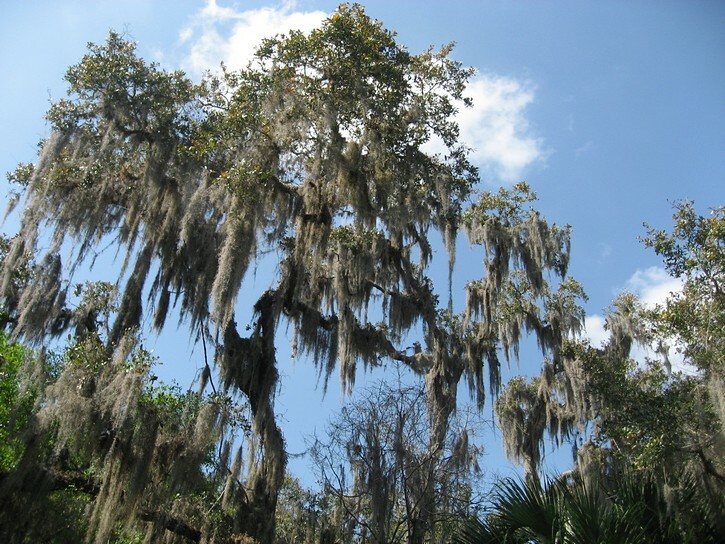 The park’s main road has a good paved surface, and at various points, you will be riding through lust green forest, next to Lake Myakka, and under a forest canopy (complete with Spanish moss hanging from the trees). All in all, a very pleasant environment. 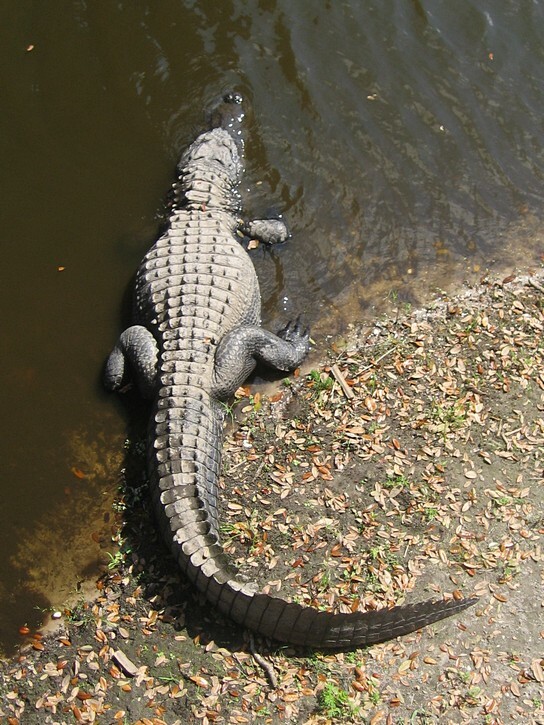 About a mile after the gatehouse, you’ll come to a small bridge which crosses over the Myakka River, and this will be your first chance to see alligators (there are usually some along the river’s edge). A short distance later, you’ll pass by the foot trail that leads to the canopy walkway and observation tower (it’s indicated by a sign). It’s only a 5 minute walk from the main road, but you once you get there, you’ll have to be prepared to climb lots of stairs (the tower is 74 feet high). After cycling in the park for two miles, you will come to a fork in the road just before a camp ground. 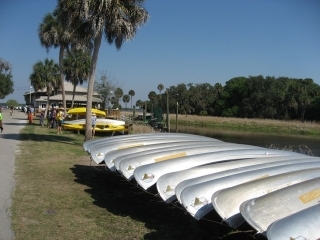 Take the left side to head over to the concession center that is located next to Lake Myakka. Here you can eat a meal in a cafeteria-type restaurant, go for a boat tour, or rent a canoe, kayak, and even a bicycle (for those of you who may come by car). On certain days, it should be possible to see alligators at the edge of the nearby lake while eating gator stew on the restaurant’s upper deck. 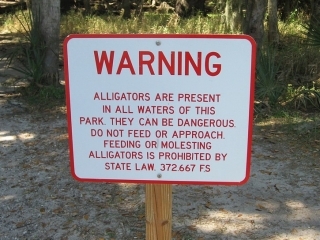 If you haven’t seen any alligators by this point, go to the end of a large parking lot just west of the concession centre’s main building, and walk on the trail for a couple hundred yards until you come to a small weir. 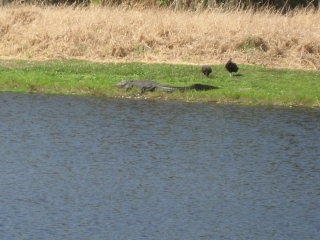 There are almost always some alligators in this area. 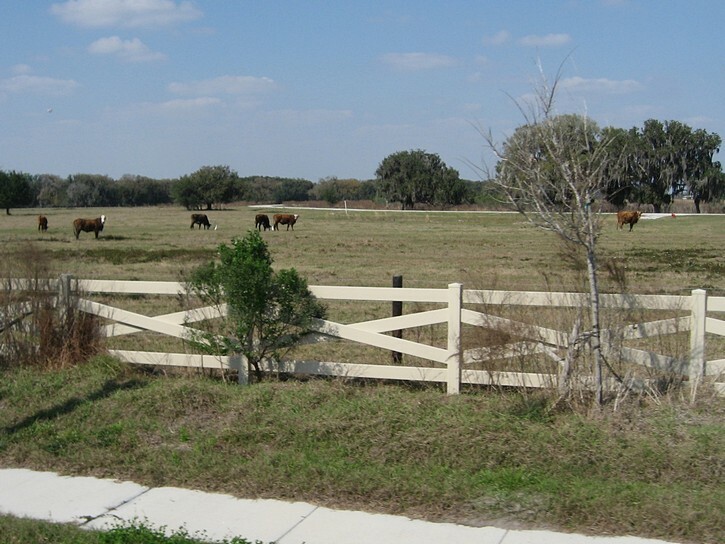 Once you have eaten and are all rested up, it will be time to ride a few more miles to the park’s north gate. To do so, backtrack to the fork in the road, and go north on the other road. 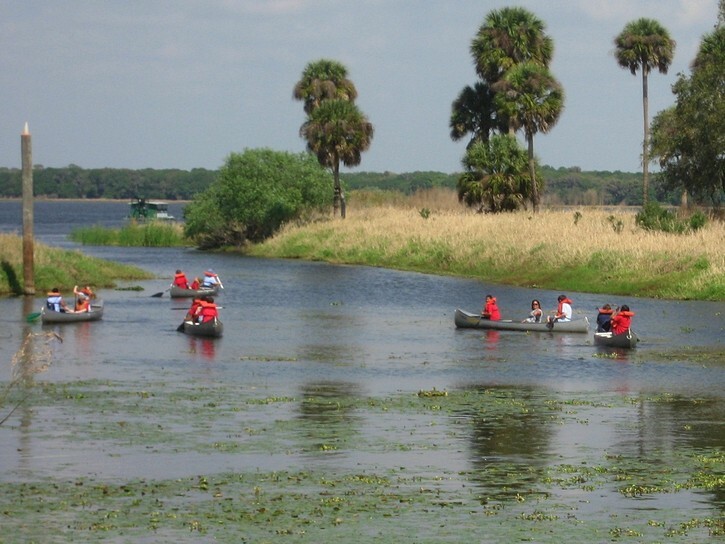 You will soon be riding next to the shoreline of Lake Myakka where you will find some lookouts and observation platforms. It’s also possible to see wild boar in this area. After a while you’ll come to the park’s north gate, which is only open to vehicles on weekends and holidays, but has a walk-thru for cyclists and pedestrians. 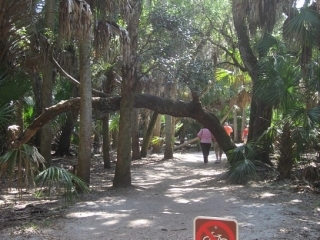 When you exit the park, stay right and head due north on Myakka Road. 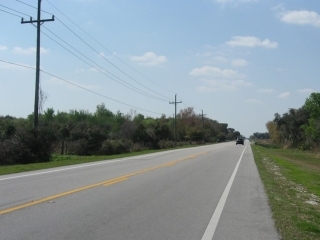 You will now be riding on Myakka Road for a little over three miles until you come to Fruitville Road. It doesn’t have any shoulders or bike lanes, but it is a quiet country road with very little traffic. 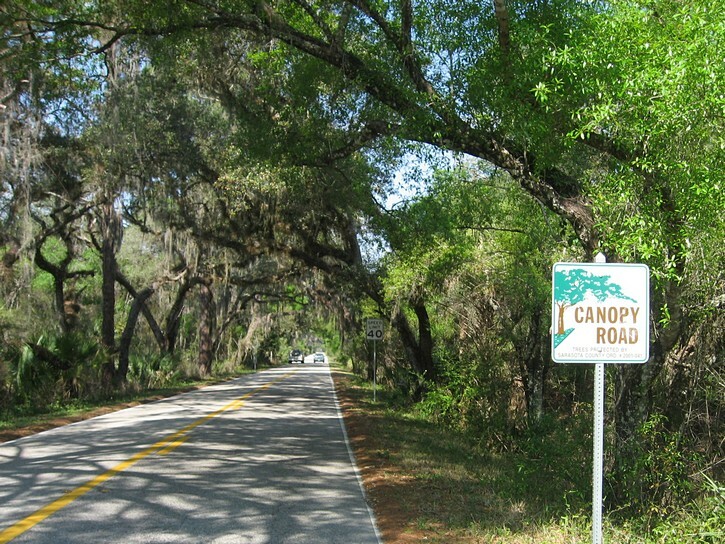 The first part of Myakka Road is designated as a canopy road, and is probably as scenic as antthing in the park. 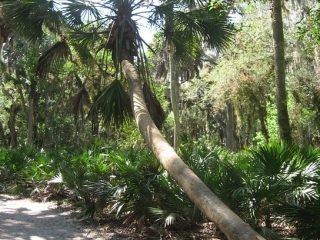 There are a few twists and turns on Myakka Road, including a few 90 degree bends. It also appears to overlap with, and share names with other local roads, so it is important to pay attention to make sure you stay on Myakka Road (a map of the area could come in handy for this). When you get to Fruitville Road, turn left and head west. Fruitville Road is 17 miles (27 km) long and runs all the way into the heart of Sarasota. Except for a segment that is a little over a mile long, it has a bike lane along its entire length. Initially, it is a typical quiet country road, and the scenery on either side generally consists of ranches or farmland. 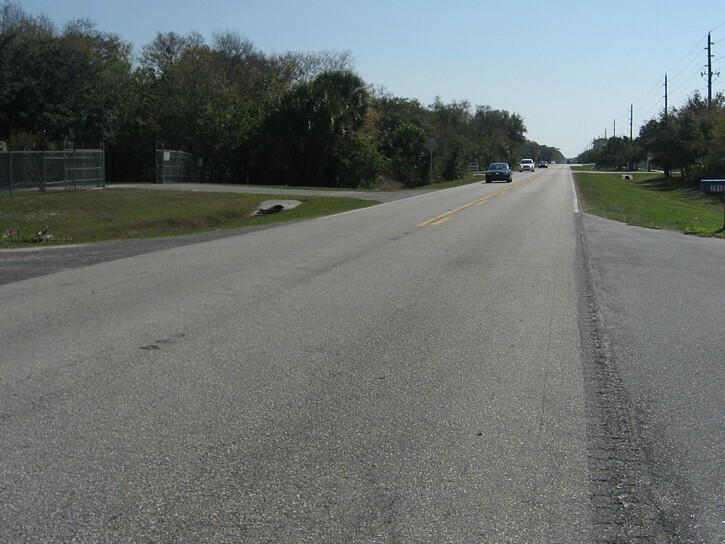 After cycling about seven miles (11 km), you’ll hit that gap that has no bike lane. Shortly afterwards, it becomes a four lane road, and in another couple of miles you’ll approach the I-75. This is where things become a bit hectic. 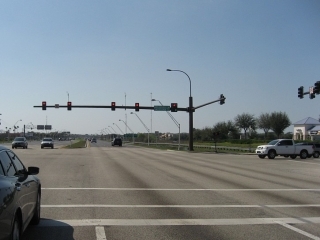 When passing under the I-75 you will have to watch out for all the traffic entering or exiting the ramps from the highway, and once on the other side, Fruitville Road becomes a very busy thoroughfare. You’ll have two options as you approach the I-75. The first is to avoid all this commotion in this area by turning left on Coburn Road just before the I-75. It soon becomes Apex Road, and both have good bike lanes. When you get to Palmer Boulevard, turn right and follow it under the I-75. Palmer Boulevard doesn’t have too much traffic, and best of all, it does not have any ramps to or from the I-75, so its one of the easier routes for getting pass the highway. When on the other side of the I-75, continue west on Palmer Boulevard for about 10 short blocks (there is no bike lane on this part of Palmer Blvd). When you come to Honore Avenue turn left and head south for about four miles. Honore Avenue is an odd street insofar that it has a disjointed bike lane that ends and resumes at various points. Where there is a bike lane, it is a joy to ride on, otherwise you’ll have to share the street with a bit of traffic. A few hundred yards after crossing Clark Road, turn right onto Northridge Road. From here you simply retrace your route back on the roads you took earlier in the day. 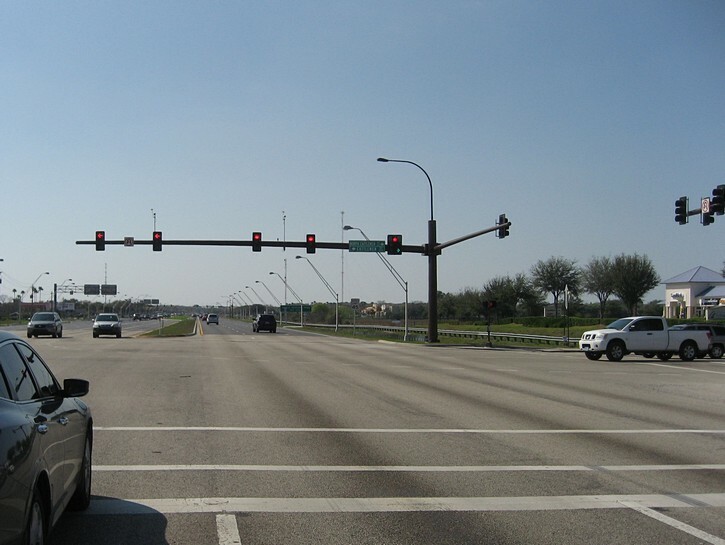 Your second option is that instead of turning on Coburn Road, you stay on Fruitville Road, pass under the I-75, and ride six miles all the way into downtown Sarasota. Although Fruitville Road does get very busy on the west side of the I-75, it’s not all that bad because it has a good bike lane. You will still have to navigate through some major intersections, and the bike lane becomes a bit marginal (no pun intended) closer to Sarasota’s downtown area. When you get to Orange Avenue, turn left. It has a bike lane and will bring you through the downtown core. If you are heading to Siesta Key, continue on Orange Avenue all the way to the end (it becomes McClellan Parkway for the last little bit), turn right onto Osprey Avenue for 8 or 9 blocks, and then turn right onto Siesta Drive. The route between Sarasota and Siesta Key is explained in greater detail in the first part of the article describing the ride to Anna Maria Island. Regardless of which option you take, this completes the ride to Myakka River State Park. 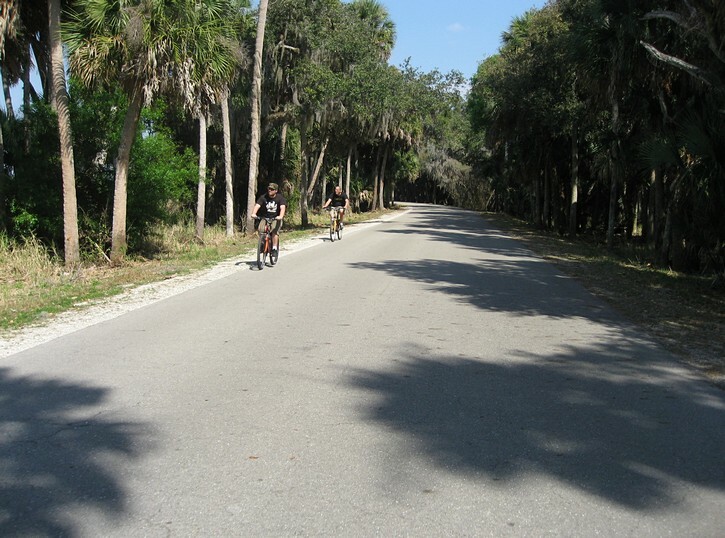 Aside from a few troublesome spots, it’s a great ride which lets you get away from the coast and see a bit of Florida’s interior, as well as visit an impressive state park. 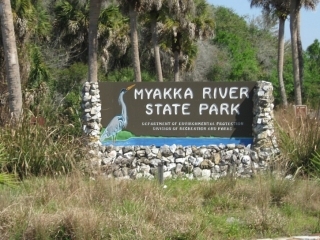 ► Website of Myakka River State Park. 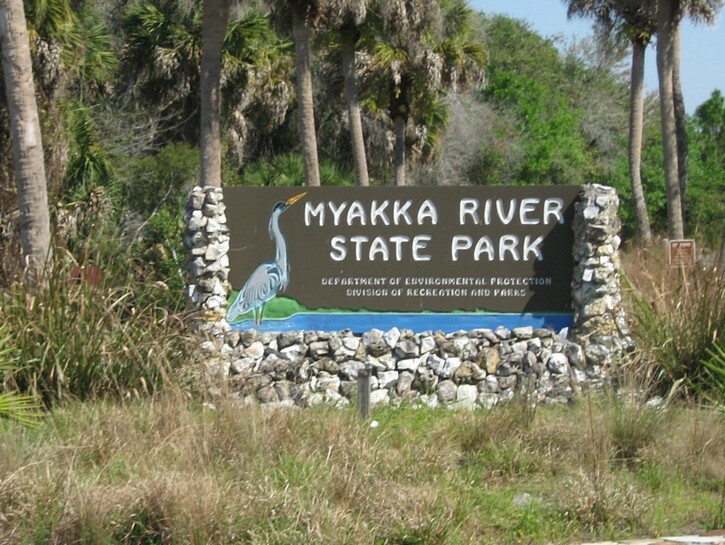 ► Map of Myakka River State Park. ► Bike Suitability Map for Sarasota and area. ► Travelling from Ottawa to Florida for a cycling vacation. 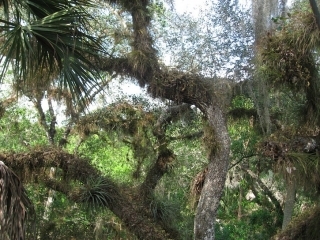 Map of the ride to the Myakka River State Park. Click here for a larger map.